Other than the study itself, this is the first time that I’ve heard Dr. Srikmaran talk about last year’s study which confirms that domestic sheep diseases kill bighorn sheep. I’ve had the chance to read the study and, in fact, it does not say that it took two days of commingling to produce disease. It says that one of the sheep died within two days of the beginning of commingling portion of the experiment. 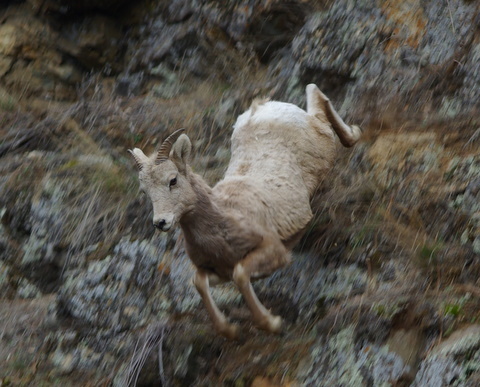 All four of the bighorn sheep, even the one which did not contract M. haemolytica during the fenceline portion of the study died within 9 days of the beginning of the commingling portion of the study. There is no evidence to support the claim that “disease required co-mingling for a minimum of 48 hours”. Western Washington’s bighorns slammed by disease. Outdoors Blog. The Spokesman Review.